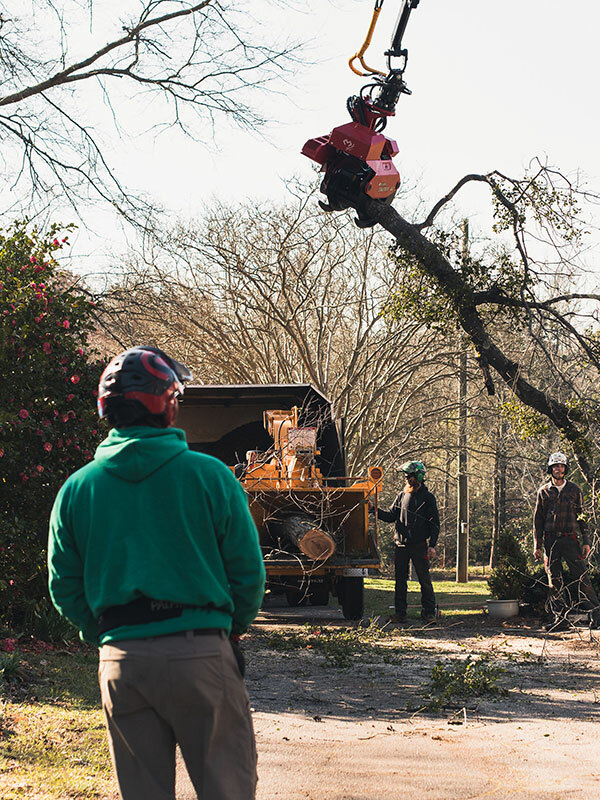 Carolina Tree Company, Inc. was established in 2007 to provide reliable, reasonable and professional tree care to the Upstate community. Our goal is to beautify and safeguard yards while providing our customers with the peace of mind they deserve. 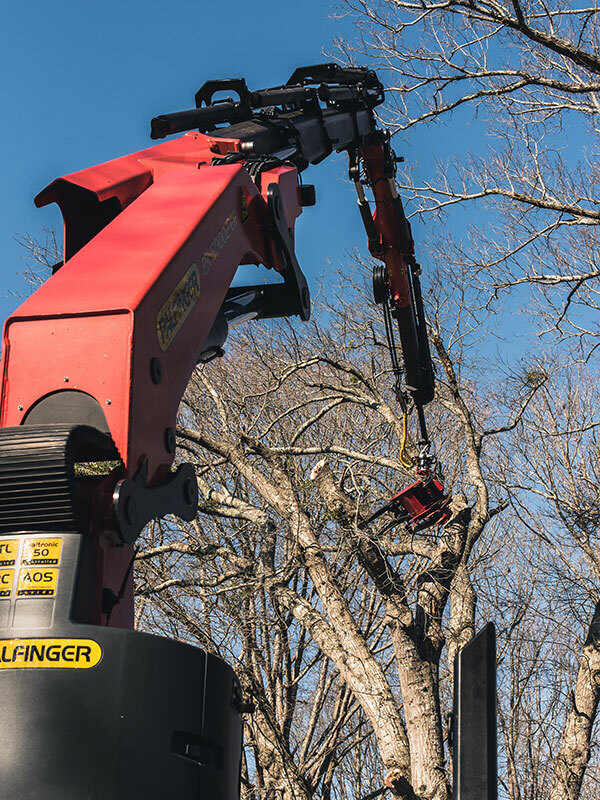 From broken and dead limbs to whole tree removals, let our team of professionals come out today to provide you with a free service estimate. 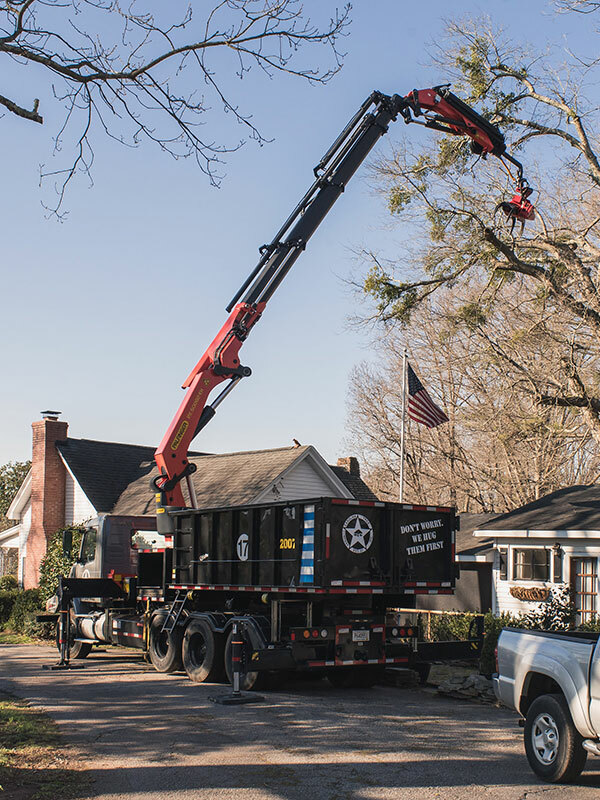 Carolina Tree Company, Inc. is fully equipped, insured, and will work hard to exceed your expectations. Since every project is unique, this is only a basic list of some of the maintenance services we provide. Contact us today for more information on our service offerings. 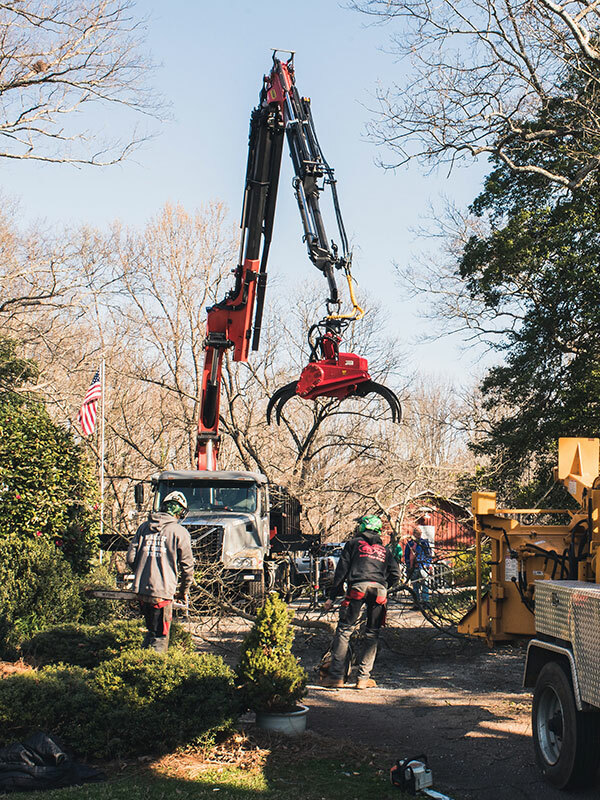 We are currently the only tree care company in the Upstate equipped with a crane-mounted grapple saw. Click below to see it in action. Giving your trees new life. 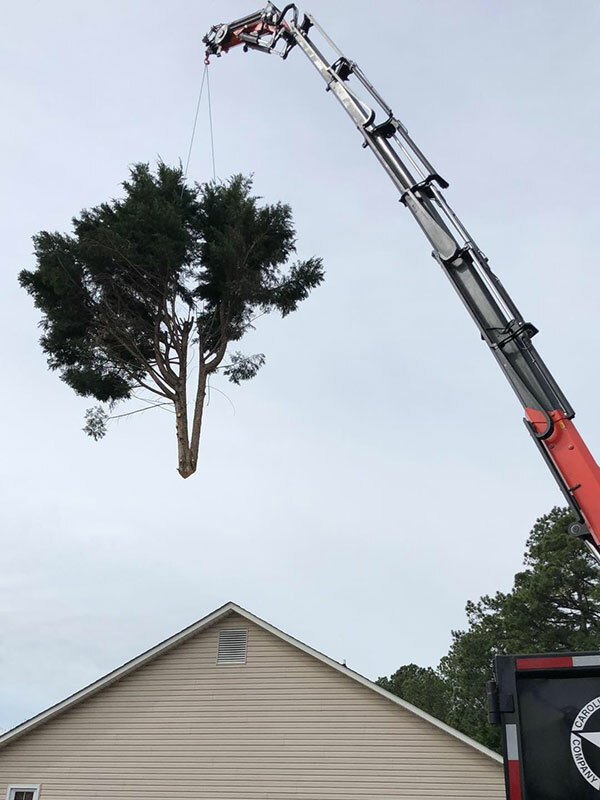 In addition to our tree removal and trimming services, Carolina Tree Company also takes pride in cutting, saving, and repurposing wood for future projects! "Today James Matt and the guys at Carolina Tree Company came out and cut down our very large, overgrown, and leaning pecan tree. They were on time, efficient, quick, and very professional! James was very reasonable with the estimate and his bid came in well below other local companies. If you live in Upstate SC and need tree services give them a call! Gonna miss that tree, but the house, tree, and our lives and general well being are safe. Thanks James!" "Carolina Tree Co, James and the guys are the best! Got home from vacation out of state to a split bradford pear tree. Called James right away and he was there the next day with a very reasonable estimate. He and the crew came out right away. We had it removed and they were professional and efficient. Clean up was great, like they weren't even there! Would recommend them every time! Thanks!" 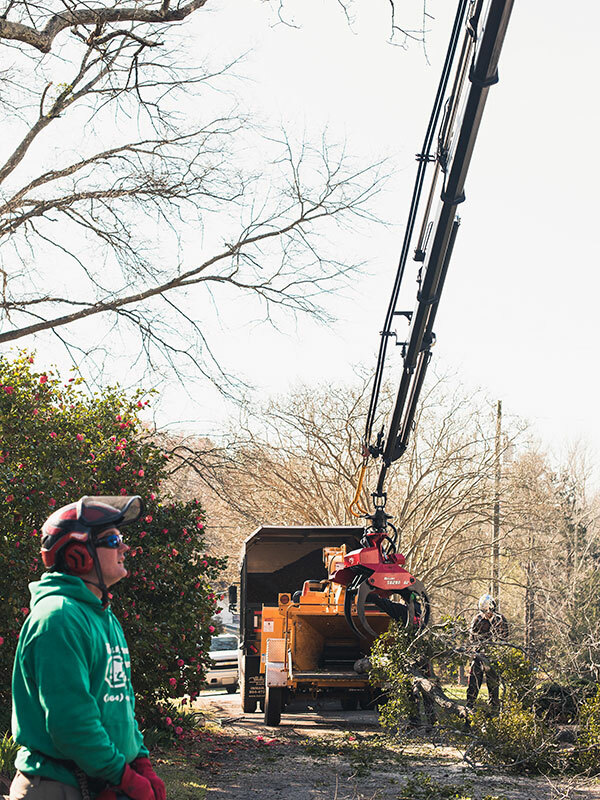 "James Matt and the guys came out yesterday and trimmed nine trees around our house. They were on time and very professional. They did great work and cleaned everything up. The price was very good and was the same as the estimate. They made the trees look great and improved the look of our house and yard. I would highly recommend James and his crew if you need tree work. Professional job at a great price."